Fission takes place in single celled organisms. It is further divided into two types binary fission and multiple fission. In binary fission two single celled organisms are produced through mitotic division. 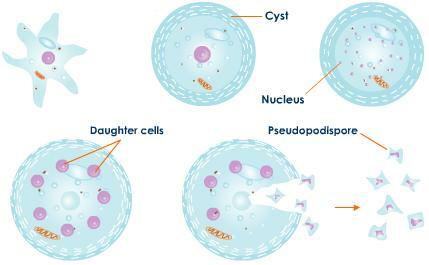 In this process, the nucleus and cytoplasm are divided as well, which results in two single celled organisms that are identical to the parent cells. 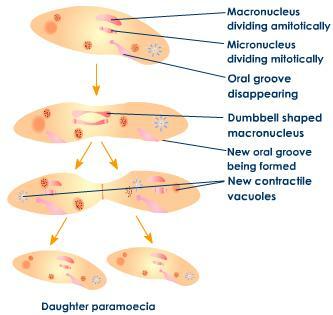 Examples of some organisms that reproduce by using binary fission are Amoeba, paramecium, etc. Under certain conditions, the nucleus will divide a number of times inside the cell itself, producing many nuclei. 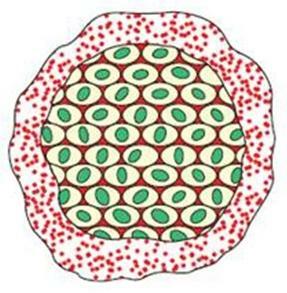 Once that happens, each of the nuclei that are formed gets enclosed by cytoplasm. This results in separate and individual units. Newly born cells come out of the parent cell after breaking the wall and start living as a new organism. Examples of organism that reproduce through this method are Plasmodium, paramecium and amoeba etc.